원자로 및 고온 재료 연구실 (장창희 교수)의 석사과정 김채원 학생이 2017년 벨기에에서 열린 International Conference on Surface Modification Technologies에서 발표했던 Best Poster Award을 수상하였다. 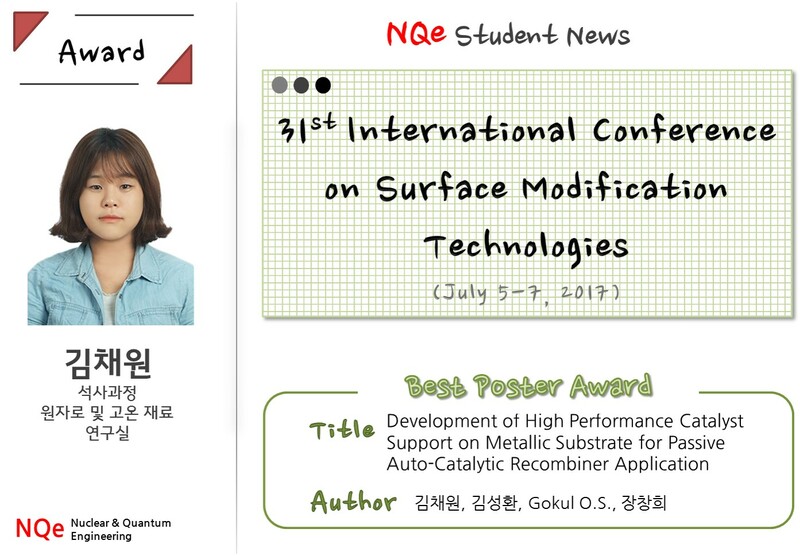 연구주제는 “Development of high performance catalyst support on metallic substrate for passive auto-catalytic recombiner application”이었다. 공저자로는 김성환, Gokul O.S., 장창희이었다.